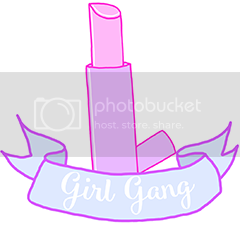 Lipstick and Lightening: Irish Blogger Conference! Any excuse to bring out the Nikon! Sorry for the lack of photos, the conference was too interesting and I didn't have a great view of the speakers. Hey guys! Today I come to you with a super exciting blog post! On Thursday, I won a ticket to the Irish Blogger Conference in Dublin! When I heard about it I was so so excited, but quickly disappointed when with Christmas costs, I couldn't afford it. So I was over the moon when I won a ticket to go! (And I never win anything). The Irish Blogger Conference is the first conference of its kind here, and it brings bloggers, both big and small together to network and learn some invaluable advice from the biggies. Top bloggers speaking at the conference was Leanne Woodfull, MakeUpFairyPro, It's Cherry Sue and Nick Munier. Here is the highlights of the conference and what I thought of it. First up to speak was Joanne Larby from MakeUpFairyPro, and I thought she was the best speaker of the day! She was very inspirational. Joanne spoke about how she left her contracted, safe and well paid job to follow her passion of blogging and make-up artistry. With a blog reigning in over 107'000 views a week, a degree in child psychology, and working and collaborations in places like RTE, Inglot, Primark, Boohoo, Smashbox, John Rocha, Mac, Benefit, BT2 aaaaand voted top 6 to follow by Vouge Italia, Joanne is nothing short of inspirational and fantastic! Next up was Justyna from the Dublin Simon Community. The Simon Community is a brilliant organisation who work with those at risk of losing their homes and the homeless. If you're living in Ireland, at the moment you'll have heard about the housing crisis in Ireland, particularly in the greater Dublin area, with over 1'500 homeless in that area alone. There are some ways you can help the Simon Community. You can volunteer, make a donation, or instead of buying Christmas cards, donate to the Simon House of Light. more info here. Also on the 11th to the 13th of December from 5-10pm, Simon Community are hosting a light show on South William Street, Dublin. So go if you're in the area! They are an amazing, hardworking organisation. Another speaker was Nick Munier from the show Masterchef and Nick spoke about how he made his way up from commis head chef, head waiter to having the best restaurant in Ireland, Pichet. He also spoke about how Blogging is the way forward for business and how it's better than a newspaper write up and it gives a better flavour of a meal through blogging. He also talked about how you have to be careful about what you put online because when he was verbally attacked on Broadsheet.ie and Trip Advisor, he said some words he shouldn't have and made things worse. It reminded me to be more careful online. Caroline Hennessy from Bibliocook, a food blogger was another speaker, and she shared her top tips for a great blog. She advised we find and hone our niche, be original, have good content, grammar and punctuation and be consistent, which I think is so important. Caroline has never made any money from blogging, but has come across the best opportunities, which includes writing a book and is involved in the Irish Food Blogger Association. Through blogging and living away from her family in New Zealand, blogging helps her feel a sense of connection with her friends and family. After the first lot of speakers, we had a 20 minute break to ''Network''. As someone who is really socially anxious, the thoughts of this terrified me. To my surprise, during the break I met some truly lovely lovely people and we talked about our blogs and ideas, swapping blog names and such. There was lovely refreshments and amaaaaazing cupcakes! Courtesy of Catrice and Essence, there was some lovely free goodies for all, yay! After the break, it was Sue Jordan from It's Cherry Sue up to speak. Sue is definitely one to look up to amongst Irish beauty and lifestyle bloggers. Sue has a degree in Government Management (Surprising) and had two sons at a young age. She used to write for the popular Irish website, Beaut.ie. She writes her own beauty and lifestyle blog. She shared with us the importance of engaging with your readers through social media platforms such as Instagram and Twitter. One of the last speakers of the day was Ali Ryan who touched on the topic From Blog to Business Woman and shared how she also left a well paid job to co found website Goss.ie, Ireland's first website that specialised on news and stories from Irish celebrities. She stressed the importance of being unique and dedicated to your blog. I thought the best speakers at the conference were MakeUpFairyPro and Sue from It's Cherry Sue. They were so inspirational and motivated me. They made me feel that I could reach the stars and reassured me that I was going on the right track with my blog. The two things that most of the speakers expressed the most was 1.) When blogging, you won't make money too easily and you need another avenue of the income on the side while blogging and 2.) The more popular you are blogging wise, you will eventually have to deal with trolls. You can't let them get to you or drag you down and deal with them in stride. Overall I thought this was an absolutely fantastic event and I some some lovely people and learned some invaluable advice! I was delighted to hear that it was going to be an annual thing, so excited for the next Irish Blogger Conference! I've always loved Dublin at night. Great write up! Reading it just refreshed my memory on all the great talks we listened to! Great pics, I think I'll go this year just didn't have the spare cash!